An experienced vocalist, keyboard player and performer, Gramps released his first official single as a solo artist, “Wash The Tears”, under his own Dada Son Entertainment label. Following the success of “Wash the Tears”, Gramps debuted his first solo album, Two Sides of My Heart – Vol. 1 in 2009. 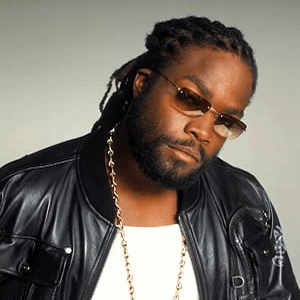 Gramps Morgan set out on tour with several major musical artists to introduce himself as a solo artist and meet his fans. He performed on the highly successful “Evolver” tour with John Legend and India Arie and also performed during India Arie’s “Soulbird” tour. He continued to tour with Tarrus Riley, his brother Peetah Morgan and was the opening act for his longtime friend, Buju Banton on the “Rasta Got Sou”l tour. Now that he is settling into the success and solo stardom of which his father dreamed, Gramps Morgan says, “I just want to give people new music and let people know that everything is going to be alright. I want to reason with my fans and get personal with them because everyone has problems. My music is about healing, heart to heart. This has always been my father’s plan; we are all on an individual journey to express ourselves musically”.